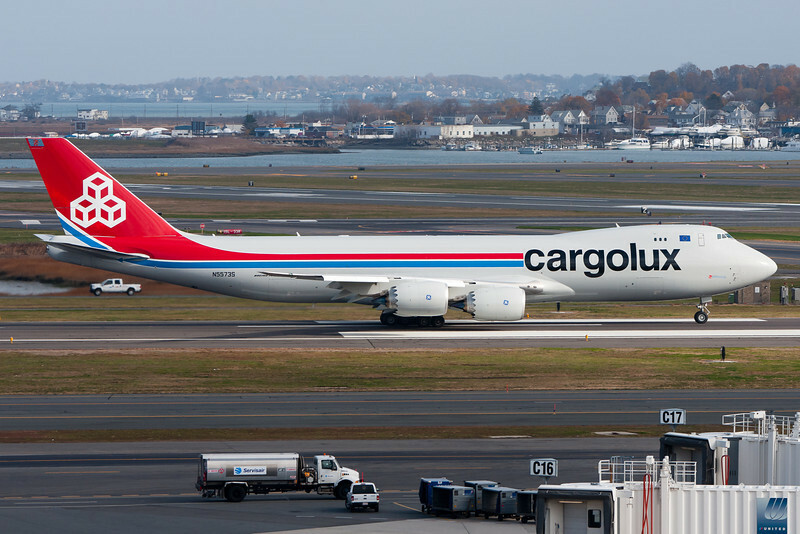 On this day the Boeing 747-8 freighter in Cargolux colors visited BOS for approach and other tests. Spotting at Logan Airport. Boston Logan International Airport is the primary airport for the New England region, serving transatlantic and transcontinental destinations.